Complete solar control system including solar working station with drain fill valves and shut off isolation valves. 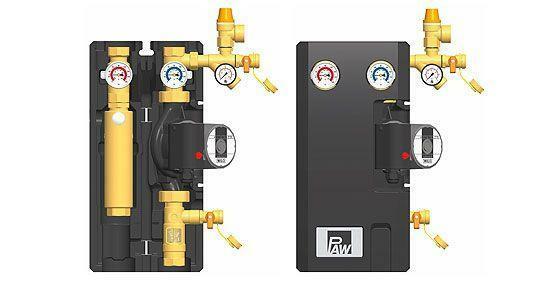 Patented air scope, flow meter, pressure release valve, pressure gauge, temperature gauge. Wilo Star S31 3-speed high volume pump included. Quality brass components are high temperature rated. Note: Requires RESOL controller - comes with 1" compression connections. USE in closed loop design only. The circulation unit is used on the primary circuit of solar heating systems to control the temperature in the hot water storage. 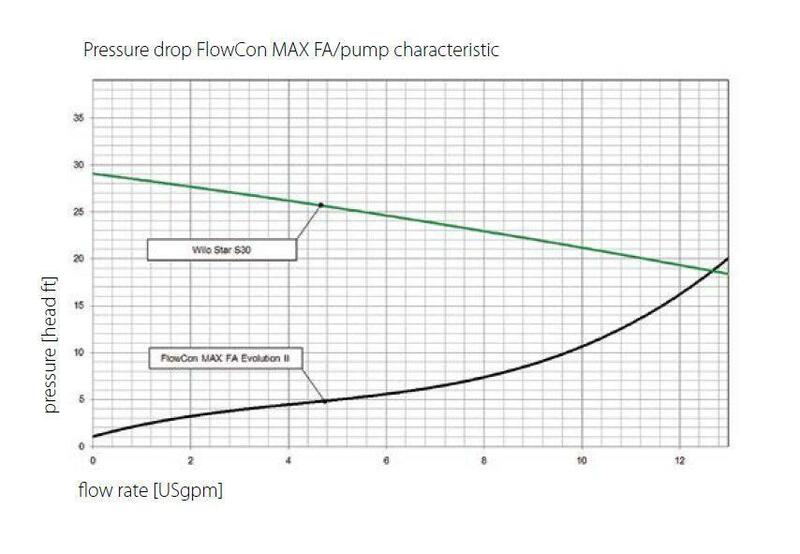 The pump inside the unit is activated by the signal from the differential temperature regulator. 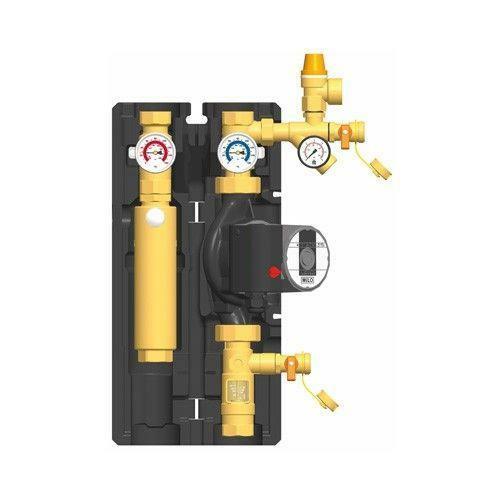 In addition, this unit contains the functional and safety devices for optimum circuit control.